Continuing with my love of mystery ships that I enjoy reading about it another one that I have discovered as a great tale. It appears to be a fictional tale but I am not ignoring it entirely due to the age and the interesting tale that comes with it. She was found trapped in ice to the west of Greenland, by the whaler ship Herald, on 11th October 1775. Five men boarded the vessel and found the crew of 28 dead below, frozen and almost perfectly preserved. They found the captain in his chair, pen in hand and with the log book open on the desk. In the cabin was also the body of a woman, a boy that was covered over with a blanket and a sailor with a tinderbox. (Tinderboxes contain a flint, steel and a fibrous material). They took the log before they left but were not willing to keep searching around her. They checked the log to find the last entry made was 11th November 1762, meaning that she had been lost in the Arctic for 13 years. The log was so frozen that it slipped from the binding leaving only the first and last few pages remaining in it. The crew had died of exposure, something unsurprising given the nature of the place they had gone and most likely the lack of preparation for those harsh conditions. Supposedly she left England for the Orient, 1761 and the captain took a gamble to go through the Northwest Passage to shorten the journey, instead trapping her in the nice north of Alaska. It seems she made the voyage later on without the crew, so was the first to cross the Northwest Passage posthumously. When the crew of the whaling ship later tried to relocate her they were unable to do so. 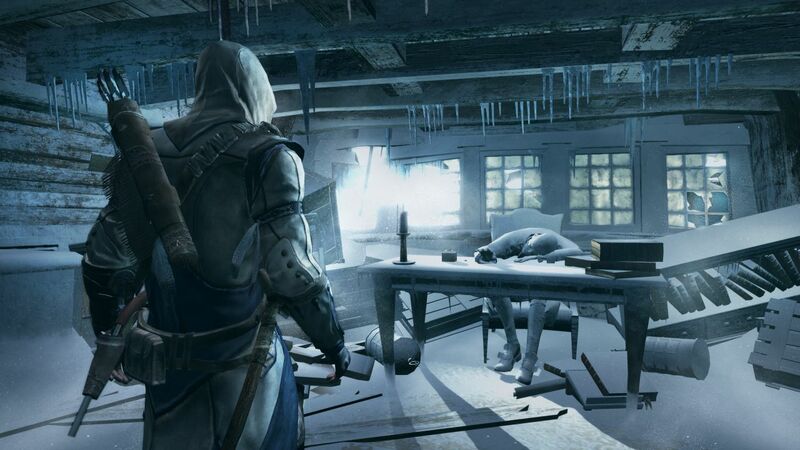 For gamer information nuts and Assassins Creed lovers, in Assassins Creed 3 there is a part where Connor (main character) goes aboard the ship looking for clues to the whereabouts of Captain Kidd’s treasure. Another one of the paranormal ship entries, there is no mention of her in the Lloyd’s Shipping Register (a register that classifies the ship and stays live on there until it’s sank, wrecked, hulled or scrapped) it’s existence comes with some scepticism. It’s also appeared as an entry in paranormal magazines such as Fortean Times, as it was apparently shipwrecked in Indonesian waters, the crew had died in mysterious circumstances and it may be that it is more fiction than fact. The first reference in English surfaces in 1952, and has had mentions since then seem to be rumours of hand-me downs with nothing conclusive. Prior to that in 1948 a series of Dutch-Indonesian articles told of a shop, not specifically using that name, that was located with a sole survivor. Before he died the man told the missionary that found him, that the ship had been carrying badly stowed sulphuric acid. The crew perished from the poisonous gasses and the missionary told the story to an Italian author. It is possible that the boat was smuggling illegal cargo, maybe it was renamed for that purpose? The idea of it carrying potential chemicals that could mix would then not be completely unlikely, mixed together in a bad situation it would be either gasses or an explosion in potential. Another theory given was leaking carbon monoxide from an undetected smouldering fire, or a malfunctioning boiler system. It could lead to the crew’s death and also to a fire that could destroy the vessel. Another theory that came from the paranormal field is that the crew had been picked up/attacked by a UFO or some form of paranormal force prior to their death. With no evidence of the ship and varying theories I’ll leave this one in your hands. As regular readers may already know, I love ships, and with it comes a love of ghost ships. So the Chilean legend of Caleuche has gone on to my list of weird and wonderful. Here’s a little tale for a Friday read. The Caleuche is supposedly a ghost ship seen around a small island of Chiloé at night, it is claimed she appears every night. She is said to be sentient, a bright white sailing shop with three masts, she is always full of lights and the sounds of a party. 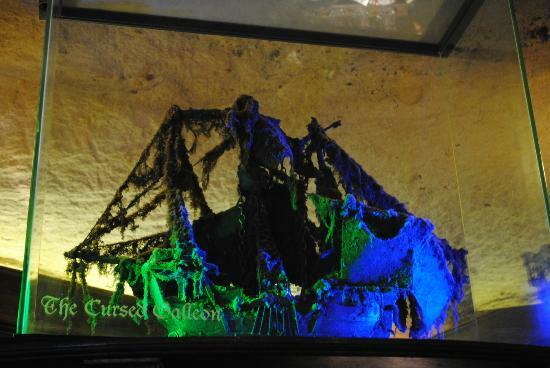 She also is said to go underwater and can navigate whilst under it, similar to the flying Dutchman. Sources I found also seem to state that the ship is sentient. In Chilote mythology the dead/drowned are brought to the ship by three siblings – Sirena Chilota, Pincoya, and their brother Pincoy. 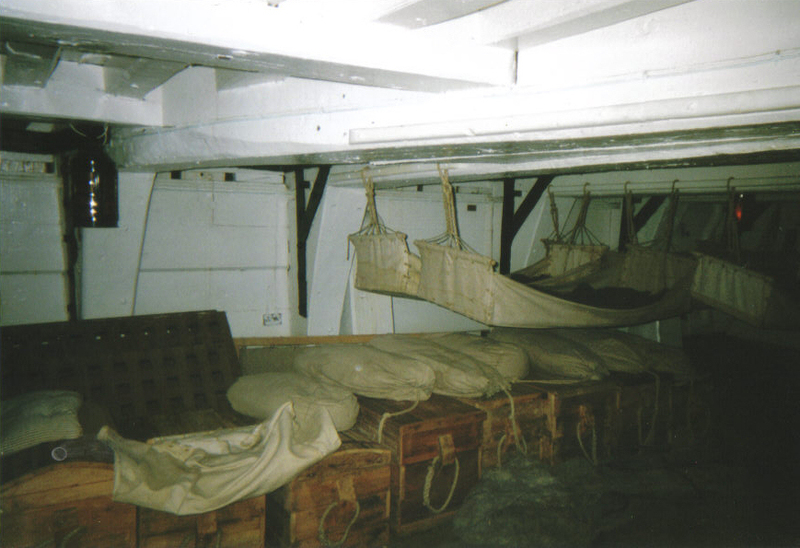 When aboard the ship the dead are able to carry on their existence there as if they were alive. There are two types of spirits on the ship, those that drowned at sea who can enjoy the above aforementioned carry on of their lives, these spirits may also go home once a year to visit their families. Those who are more unfortunate who are kidnapped fishermen, they are used to serve the ship performing the various duties of the crew. Another thing that is claimed is that the ship can summon a magical water horse, this horse can the gallop upon the surface of the ocean. Gay Baldwin wrote a book, I picked it up probably ten years ago or more, about the local ghosts on the Isle of Wight. The Island is small and you can travel around most of it pretty quickly but if you are looking at some of the out of the way areas this one is pretty good for some side visits. Of course readers will now have guessed I do have a thing for the oceanic types of haunts and Chapter Thirteen of “More Ghosts of the Isle of Wight” has provided another good read. Bouldnor, near Yarmouth is mentioned, a couple saw a vessel come close enough to the shore that they might well have been able to touch it. This was in 1978 and the book contains statements from both witnesses who have yet to change their claim on the matter. The sighting came some years before the discovery of mystery vessel by divers. It has now been identified as the wreck of either a 16th Century Spanish or Portuguese carrack. She is now lying entombed in mud and sand off Solent. Another one I found from a website, Mystery History suggests there is more than one sighting. Two people out night fishing spotted an old ship with three masts sailing towards them. The vessel appeared to be illuminated by several lanterns across its masts and bow. As the ship neared the witnesses, it slowly faded away. The HMS Eurydice, a 26-gun frigate that capsized and sank in Sandown Bay during a blizzard in 1878, is a famous phantom vessel that has been sighted by sailors over the years. On October 17, 1998, Prince Edward of England (1964– ) and the film crew for the television series “Crown and Country” saw the three-masted ship off the Isle of Wight and managed to capture its image on film. The HMS Eurydice is pretty famous and has said to have been spotted by more than just Prince Edward and the TV crew. She was a vessel caught out by bad weather, there were two other ships in the area and despite the bad weather she continued on with her gun ports open, a strange action in the given weather. There was not enough time to get to the crew via lifeboats as the crew were pretty much on the decks below at the time. The Ventnor residents stood on the cliffs and were said to be dumbstruck by the incident as it was such a calm day beforehand. After the freak storm died down all that could be seen was the mast and upper sails/rigging around two miles off the island. A schooner, Emma, went to find survivors, she picked up five people from the waters but only two survived. One of those two said they were ordered to bring the sails in but the snow in the blizzard was so thick they could not see. One of the witnesses at the time was a young Winston Churchill living in Ventnor with his family at that time. 1898 saw a powerful poem about the affair by the creator of Sherlock Holmes, Sir Arthur Conan Doyle. The poem is The Homecoming of the Eurydice. Bo’sun, O Bo’sun, just look at the green of it! Spread the topgallants–oh, lay them out lustily! What though it darken o’er Netherby Combe? ‘Bo’sun, O Bo’sun, just see the long slope of it! ‘Tut, the clack of them! Steadily! Steadily! Their mothers to them–and to us it’s our wives. I’ve sailed forty years, and–By God it’s upon us!